Thread: Brown's Ranch technical trail? I was visiting Scottsdale last year and discovered Brown's Ranch. I immediately fell in love with the flow, the desert views and trail designs. Completely opposite of what Massachusetts has to offer. While there, some trail builders were working on a new technical section. I assume it's done by now and wonder how it riders. Should the trails be ridden in a certain direction? And is the difficulty about the same as where Rustler meets Hackamore. I'll be out there in Feb and can't wait to escape this cold weather. The trail is called Diablo, and *I* prefer it south to north. More downhill flow. I've only ridden it once but we did North to South. Will definitely try South to North next time! Yes the new techi trail is called El Diablo North and South. More fun is going south to north, but the reverse way is fun too, but climbs up the steep stuff on the south end. See Trailforks for location. The plan is to add more of the same within the area bounded by Divide on the west, High Desert on the north and Coyote Canyon on the east. 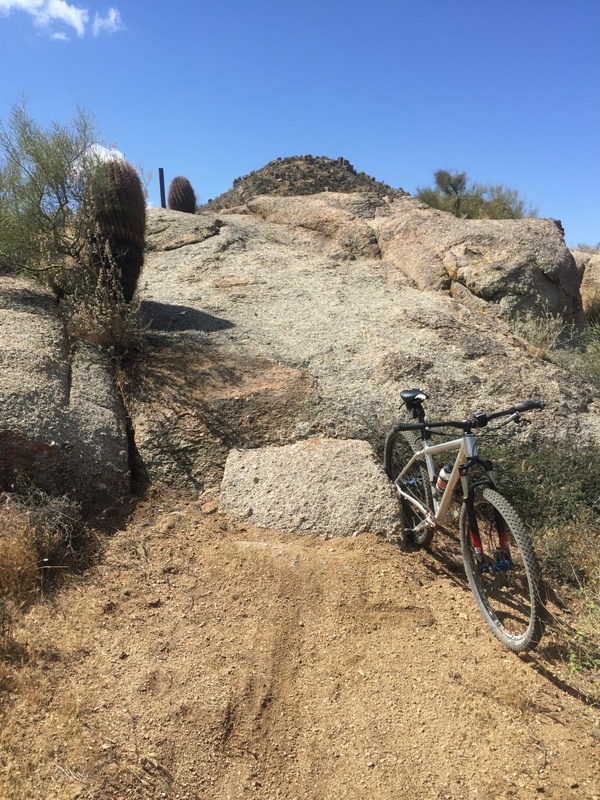 There is a fun little loop off of Coyote Canyon that hits some of the old Mary's Trail granite slabs. I did a fun little loop out there last weekend that hit a lot of the fun stuff out there including the little loop off of Coyote Cyn. You will see Diablo N and S just north of Cholla Mtn and west of Divide trail. Have fun! I have ridden the area both north to south and south to north. Nothing crazy or alot of elevation change, but there are a lot of low speed techy balance moves up and down rock slabs. Lots of fun and fine on XC Hardtails if you have good skills. Looks like a nice loop Dale! Browns gets a lot of flack for being 'boring'; to which I say: you're not riding fast enough. But I digress. El Diablo is a great addition to the system, one of my favorite trails out there. As JoePAZ said, it's nothing crazy, but there's a lot of fun stuff like small ledges and rock slabs and tech moves. I took a few pics of some of the stuff out there a few rides ago which gives examples of the 'features'. It's marked 'black diamond', but that's (IMHO) in "Browns Ranch" terms. I'd say it's a modest blue compared to T100, with optional advanced B-lines. Not bagging on the rating. I think the trail is phenomenally fun, even on a rigid single speed. Rock-skinny on a B-Line. rocks are about knee-high and 3' wide. Main trail switchbacks across the middle of the pic, B-line i down the middle is really a DH only. I suppose is climbable, but it's awkward. The slab in the center is a ledge, but can be rolled if you get back on the bike. Steep(ish) slab, but smooth transition. Can be climbed with speed. All the pics are of 'advanced' B-lines. Edit: I ride it both ways, including the little tech-ey side loop, I think they both have charms. That's for the info. Can't wait to get out there. It's 12 degrees in Boston as I read this. I'm 68 y/o and ride 3-4 times a week. Nothing in Brown's Ranch is boring. The desert scenery is breathtaking. Seems interesting on a XC bike. 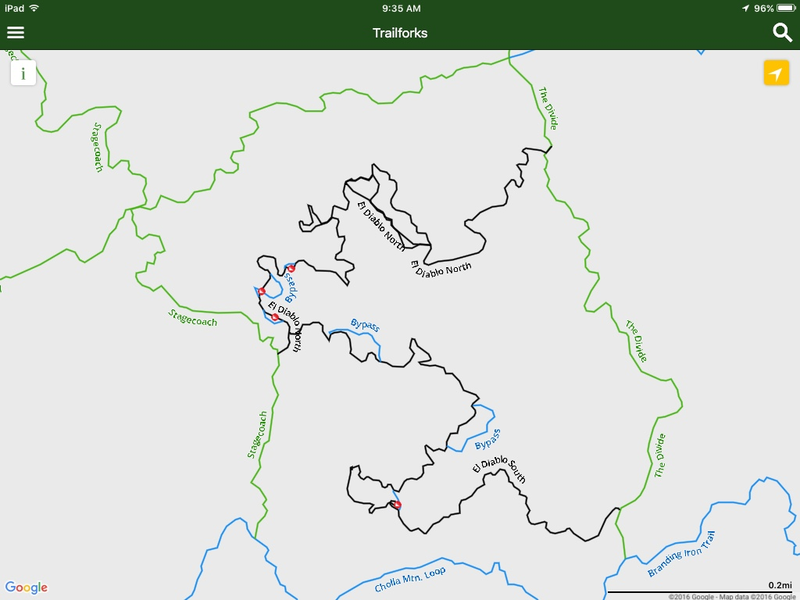 What is the best route from the BR trailhead in order to get to Diablo? Latigo to 118th(?) around the east side of Cholla Mtn is fastest. Browns Rd. over to west side of Cholla Mtn. is a bit longer but also fun. The new trails in Brown's are so much better than the initial cholla and cone loops. Some are even getting some berms burned in. Looking at the map, it looks like there are go arounds ( by-pass) on the more difficult sections. That's great. Because it doesn't sanitize the trail. It give you the option of how technical you what to ride. I prefer to start on 136th parking lot. Leaving from end of Alma School is just getting too crowded. Head north on 136 st express to Renegrade - High Desert trail - Stagecoach and head south. Diablo north or south can be picked up from stagecoach. Hard to miss. Play around for awhile and head back via Branding iron - Granite mountain (either direction). I was out there yesterday on my Singlepseed. Fun place to ride and there are many different ways to get there. You can spend hours sessioning and playing around on the B-lines and even "C-Lines" given all the rock formations you and find your own a bit too. Don't worry, it won't be technical for long after the masses get to it. Sanitize. What a natsayer. I seriously doubt it since the majority of the features are solid granite slabs. I bet you haven't even ridden out there yet to check it out. You found the resident forum troll, just do as the rest of us and put him on your ignore list..
That place was a blast. I love the signs that say, "Most Difficult" this way, as that's the way I went. Great area for miles and miles of singletrack with amazing desert scenery. Definitely love Brown's in general and Diablo is supa fun! Did south to north today. There's a challenging little rocky climby thing on the south section that I'm about 50/50 on cleaning. Today happened to be a good day and I passed 4 riders while cleaning the whole deal, felt like a super hero for once lol (I don't pass people very often)! Big props to Dale and the others who helped lay out this section. Also love the Coyote Canyon/Desperado/Renegade section, good stuff for sure. 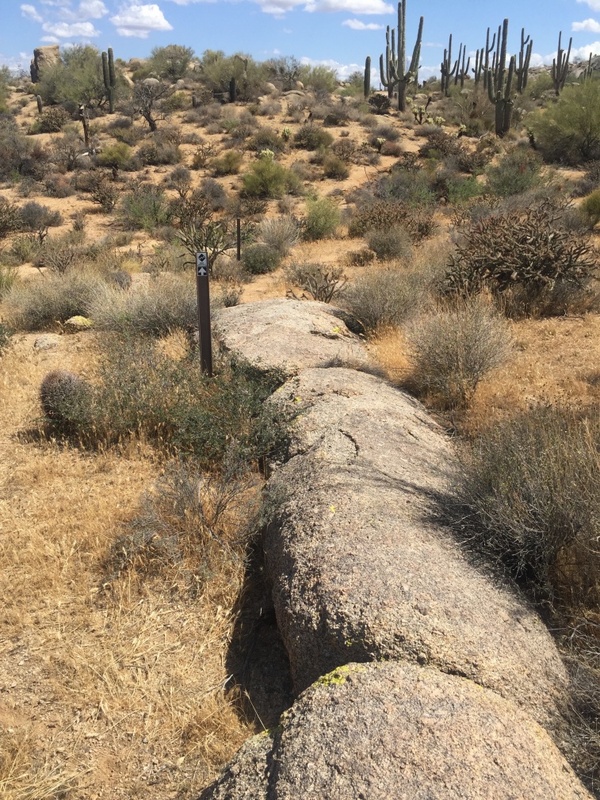 Someone asked about best route from BR trailhead - my fav is Hackamore/Cone/Brown/Corral/High Desert. From there just go around in circles and enjoy! -Follow Gnt Mtn Loop 1.0 mi until you get to Branding Iron Trail. Go left on Branding Iron. -Follow Branding Iron 0.8 mi to Divide Trail. Go Right on Divde Tr. -Divide Trail will take you to the entrance to South Diablo Trail in a quick 0.1 mi. -Start on on South Diablo and choose the "standard" or "most difficult" routes as clearly marked. You will end up at the start of North Diablo as you finish the south section. Again, you will have your choice of the "standard" or "most difficult" routes. Posts above describe the features which are very fun and EVERYTHING is rollable--no serious drops were encountered. A very healthy rattlesnake was encountered, but we stayed out of each other's way. -North Diablo exit will put you back onto Divide Trail. Go right to head back down. -Take Divide Trail down to Branding Iron (0.8 mi). Turn left on Branding Iron Tr. -Take Branding Iron 0.8 mi to Granite Mtn Loop Tr and go left at Gnt Mtn Lp. 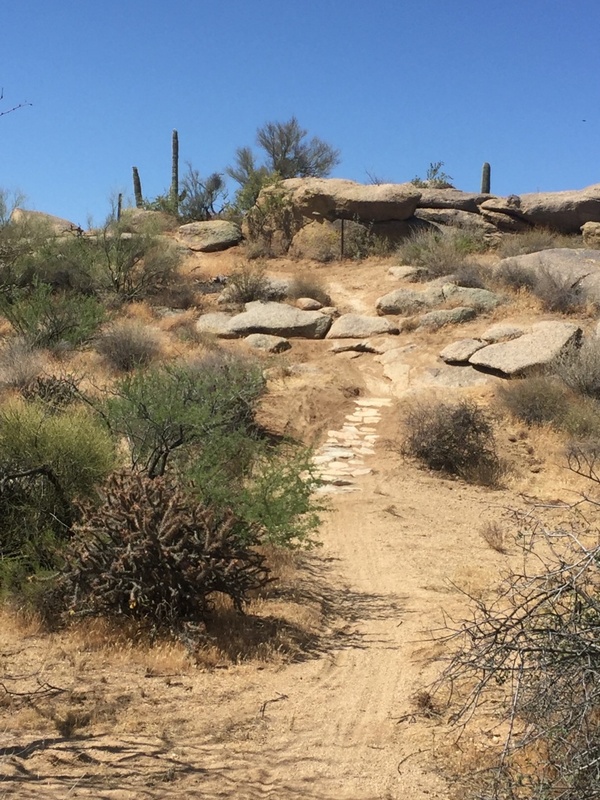 -Take Granite Mtn Loop all the way (1.6 mi) to Bootlegger Trail and go left onto Bootlegger. We enjoyed this so much we did it on Friday and on Saturday. Friday was great due to low traffic. Saturday was fun but the lower sections were quite crowded. Saw one other person on the Diablo features even on Saturday. Wildflowers were blooming like mad--really gorgeous place.